The San Francisco Insider – Drew’s Tips: What to do on Labor Day Weekend! Ready for a break after your week of studying hard for your English courses? The San Francisco Insider is a regular contribution from EC San Francisco teacher Drew Rogers, who knows how to make the most of anybody’s stay in the San Francisco Bay Area! As you may know, Burning Man began Monday and goes through the next Monday, which you may know is Labor Day; but those who think it’s too expensive, far away, tough to get a ticket, find a friend to go with—are all wrong—simply look for last minute deals that ALWAYS happen—it’s merely a question of will (or won’t)! I’ve gone on Friday for a 3 day pass and got the full “burner” experience as well, and I nailed a very reasonable ticket on Craigslist, found a ride easily and camped with “strangers” who became friends—it’s the magic of BM! For most of you, though, this coming Labor Day weekend will be more about local stuff: music, picnics, bbqs, hikes, bikes, or just relaxing and seeing the big city shrink to its lowest (except tourists) population during the summer—and that means you’ll see Fog City relax, move slower and quieter than ever! Well, start TODAY! 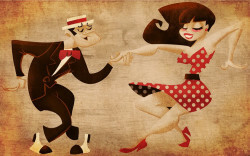 Union Square hosts monthly dance lessons and music, and today you will be treated some some very fun stuff if you want to experience a very American music and dance genre: Rockabilly! Swing in the Square is a swinging live concert and dance series taking place every fourth Wednesday from May to September from 6-8 pm. Find the information here. 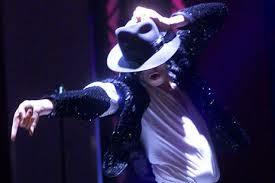 Then BART over to Mighty for MJ night (free before 11 pm!). And if you “don’t stop til you get enough” then light up the night to the monthly Saturday night video and music dance offs between MJ and Prince all night long at Madrone Bar on the corner of Divisadero and Fell—but don’t show up a t 9 pm and expect to get in, it’s a huge draw and a ton of fun, 21 and older, happy hour til 7 pm. There are many places to grab good food near it like SF’s best Pizza at Little Star (Divisadero and McAlister) or the very new outdoor BBQ venue called 4505 meats serving organic and delicious burgers and various bbq meat/veggie sandwiches on communal wooden tables outside (corner of Divisadero and Grove Street) across from the live music venue, The Independent, where just about every big name has played here before they were a big name,even J-Pop concerts!). Or go earlier and bring your own picnic before the dance off and enjoy the afternoon on top of Alamo park just off Divisadero with stellar views of “the painted ladies” Victorian houses. If dancing isn’t your thing, then why not rent a bike for a few hours with a few hundred friendly cyclists for the monthly bike ride around the city where you 1) ride in the middle of the street and have it to yourself, protected from cars, and 2) can eat and learn more about bikes for pennies with all donations going to the SF bike coalition: An evening of tips and workshops for Bay Area local biking adventures. Bring your freshest sweater and a set of lights for a lovely night bike ride along the Bay which follows the event at 8:15pm. 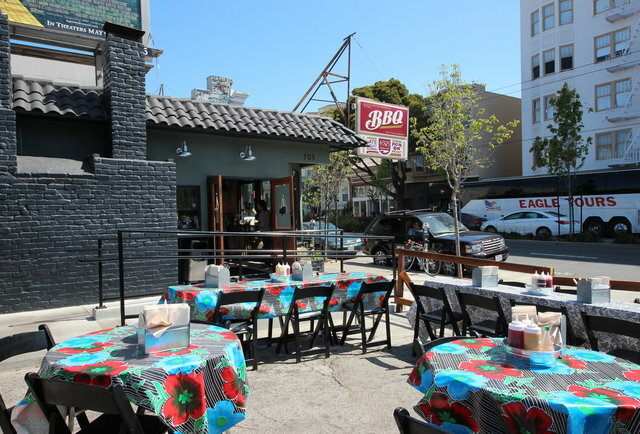 The happy hour highlights a selection of Bay Area bike adventure destinations to explore, shares essential bike & camping skills, and a thematic selection of great food and drinks like Slow Roasted Pulled Pork or a Vegan BBQ roast. Bring your freshest sweater and a set of lights for a lovely 10 mile, 1 1/2 hour night ride along the Bay. 5:30-8:00, night ride by the bay departing around 8:15. Saturday and Sunday there is so much going on, so check out Cheapfunsf.com or simply open the free weekly mags, The Bay Guardian or SF weekly (both are also online) and check out the events sections. And don’t forget, Sunday Golden Gate Park shuts cars off so if you want to roller skate to disco music or ride a bike, it’s a sure thing you’ll have a lot of company; ditto for disc golf which is the fastest growing sport in the USA and you can get discs for really cheap at the course across from Hellman’s Hollow in GG park. How’s that for starters for your long weekend? Free Shakespeare in the Park, so T-shuttle over to the Presidio for The Taming of the Shrew. Each performance is preceded by a Green Show, a half-hour before show time, which provides additional background on Shakespeare and the play in a lively family-friendly format. Bring a picnic, a blanket, and your amigos to enjoy free professional theatre in a beautiful park setting. Enjoy your long weekend and remember to honor labor!